Very superstitious? Good! 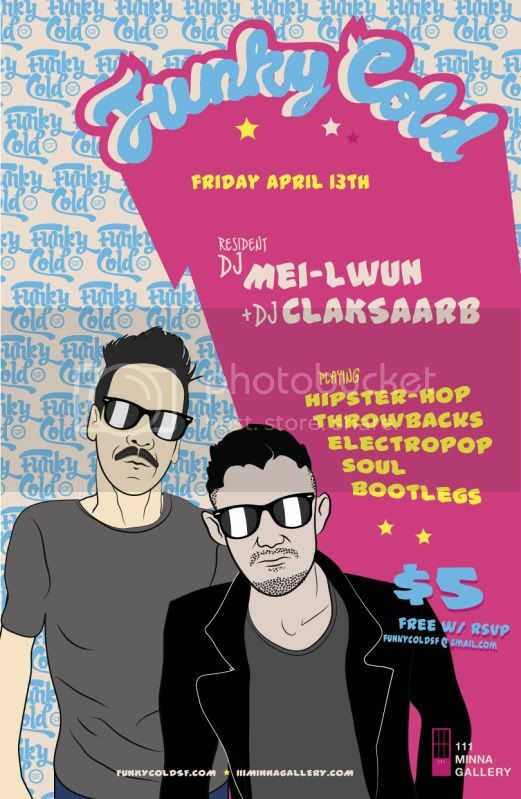 Funky Cold Fridays for April 13th will be scary good with resident DJ Mei-Lwun and special guest DJ CLAKSAARB might as well be playing with chainsaws and hockey masks not turntables because they'll be killin' em like Jason on the dance floor. Free before 11pm with your rsvp. Otherwise $5 at the door.